Bold reds and adventurous leopard prints have been fall fashion staples for decades, but incorporating them into new trends can be a bit tricky. Whether your fashion skills are just starting to bud or you’re already a style queen, we’ve got a few helpful hints to get these fall favorites just right. Read on to see how to rock red & leopard this season! A print as daring as leopard can be a little off-putting for some fashionistas in the making, so start small! Try a cozy cool-weather dress in neutral colors like grey, black, or white and add in a pair of striking leopard loafers. Like leopard, red pairs best with a handful of neutral colors—specifically, black and white. 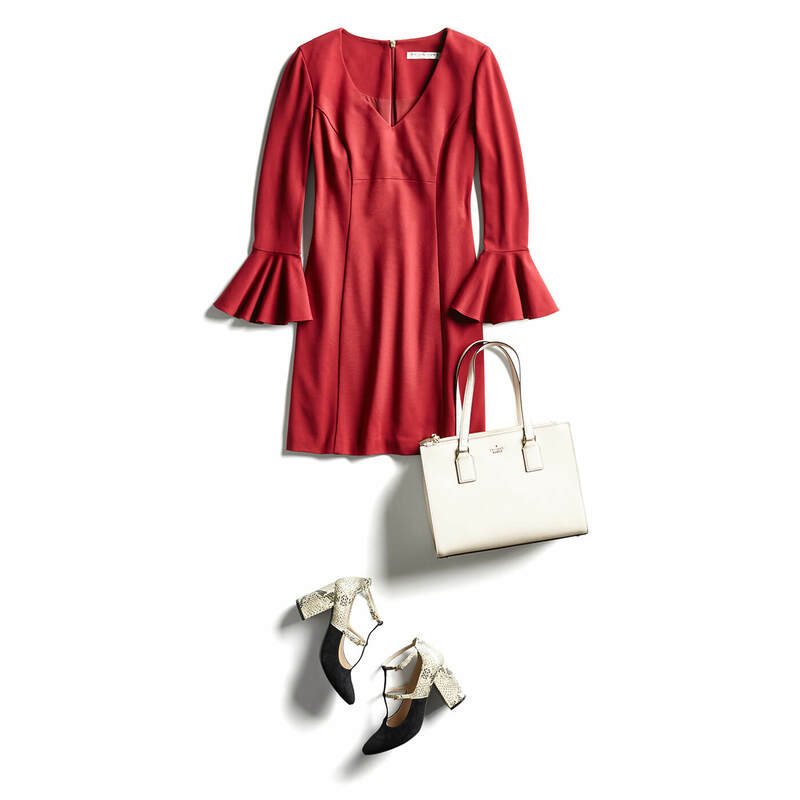 Dive right in with a well-structured solid red dress and build your look around it. Challenge yourself with black and white color blocked chunky heels paired with matching purse. Leopard is a neutral! Go for casual chic with drawstring trousers, casual slip ons, an on-trend faux fur coat, and one big, bold leopard print bag. Paired with dark neutrals, this carry-all creates an unforgettably cool look. Belted trench coats are an investment that keep wardrobes fresh for seasons to come. 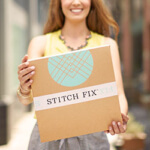 Pair this look with gold bangles, black cropped trousers and ballet flats for the perfect work to cocktails attire. Ready to step up your leopard look this season? Take the spotted print to the next level with a fashion-forward blazer, chic black pumps and ankle length denim for a distinctly modern style. Advanced fashion mavens know that great style toes the line of daring and sophisticated. 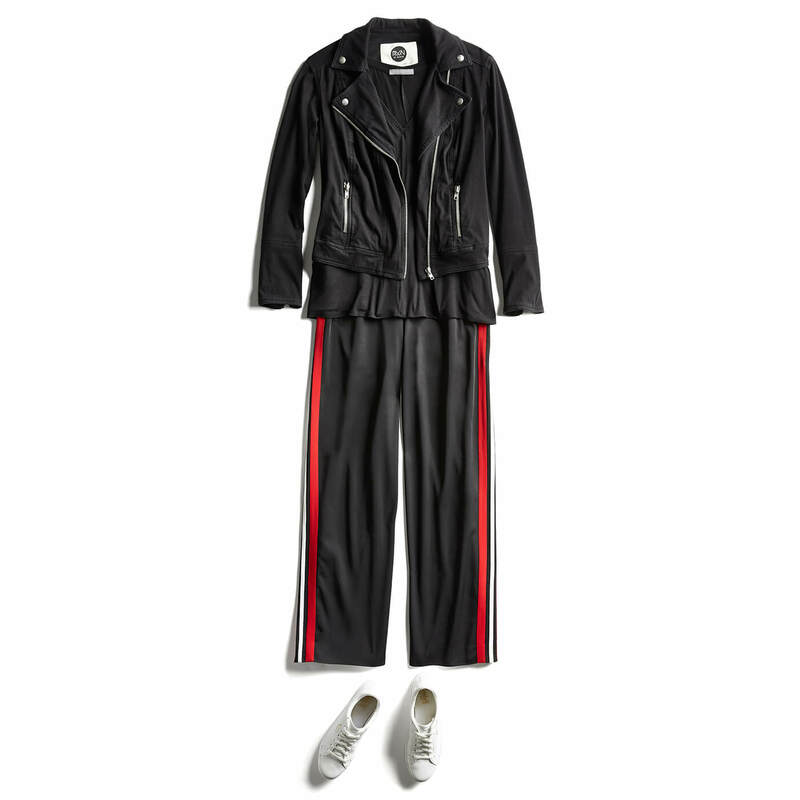 Couple a classic black moto jacket with a ‘90s-inspired track pant (complete with an audacious red stripe) for one highly coveted stand-out style. Will you wear these trends this season? Tell us in the comments below!